The erosion committee established by the East Hampton Town Council has come up with a series of initiatives to combat erosion. The ongoing saga of the east-end’s struggle with the erosion issue might be coming to close as a committee specifically put together to tackle the issue has presented the East Hampton Town Board with 11 recommendations in dealing with the problem. While the damage caused by Hurricane Sandy was certainly horrible, there’s also the issue of natural erosion to deal with. “We had a very huge wake-up call this year, and Montauk is on the brink,” said Town Supervisor Bill Wilkinson. Part of the solution outlined by the erosion committee calls for an additional 50,000 cubic yards of sand to be drawn from local sources. This is perhaps the most interesting and important of the responses, as there was tremendous difficulty in obtaining sand from Wainscott due to a reported sand shortage. The 50, 000 cubic yards of sand will be placed from Ditch Plain through the Montauk commercial district. Another aspect of the plan calls for the development of a 2.3-mile, 200-foot-wide beach to be put together by the Army Corp. of engineers. What’s of note here is that a beach created by the United States Army must then remain a public facility. This could potentially lead to a stimulation of business in the area, once the beach is defined and engineered to completion. 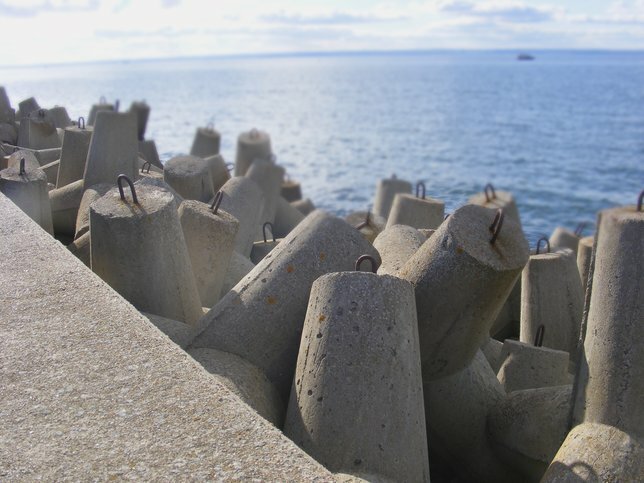 Though underwater defenses against sea erosion are not something the committee is pushing for long-term, considering the beach could take about two or three years to fully develop, private homeowners are being given leeway to protect their homes with underwater gabions, boulders and other natural defenses. “If there is strong objection to what the Army Corps proposes, then it might make sense to get a private coastal engineering firm involved,” said Councilman Peter Van Scoyoc. Subject: LongIsland.com - Your Name sent you Article details of "Montauk Beaches Set To Be Rebuilt After Storms and Erosion Have Taken Their Toll"